Well, not the whole thistle, just its flower. 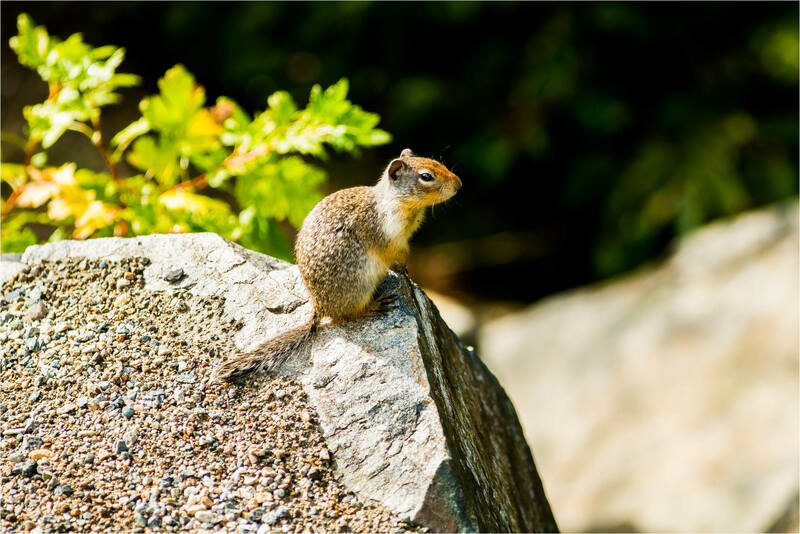 At the same rest stop where we watched chipmunks eating berries, there were Columbia Ground Squirrels (Urocitellus columbines) scurrying about on an embankment. They stood up to watch us, creating a short staring contest with my son, before resuming their runs from rock to rock and other spots around the hillside. 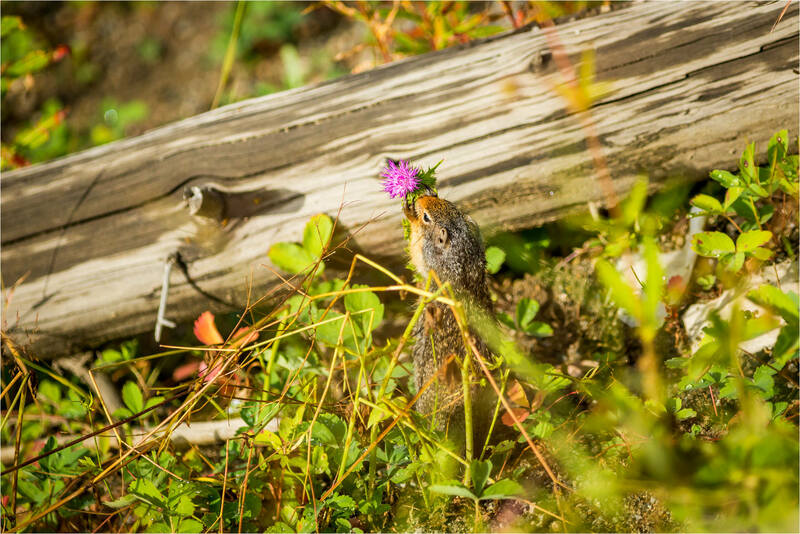 I was in a good position when one of them approached a thistle because it was a few feet away and the squirrel ran towards me with little regard for me or my camera. The dexterity of its fingers and the delicate nibbling were really cool to watch up close. And provided a nice distraction from the drive. This entry was posted on August 27, 2014 by Christopher Martin. 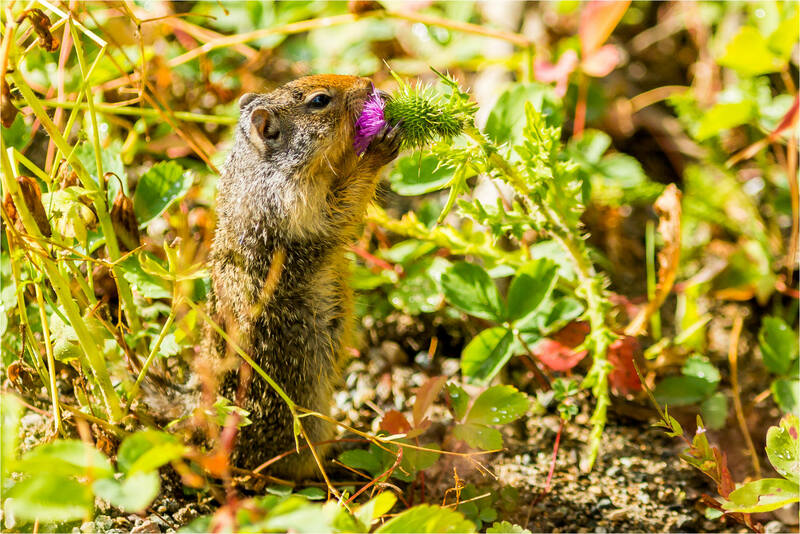 It was filed under Columbia Ground Squirrel, Nature, Wildlife and was tagged with British Columbia, Columbia ground squirrel, Kootenays, nature, thistle, Urocitellus columbianus, wildlife photography.